Sunlight chasing the fog away. 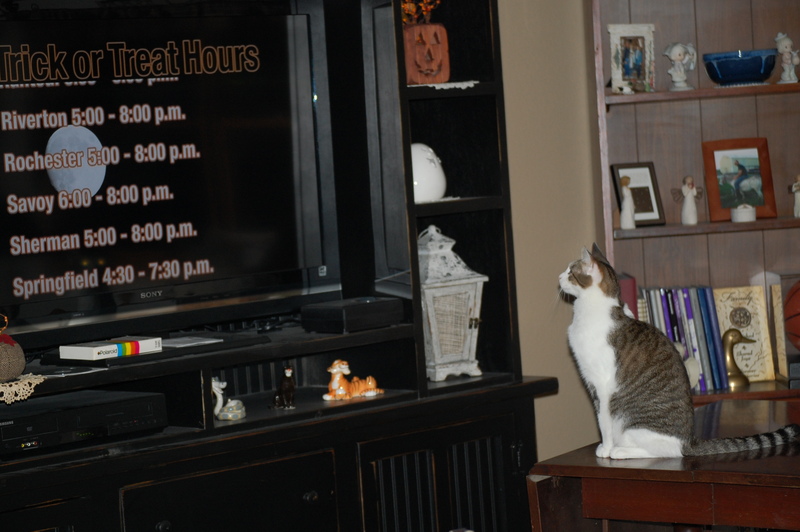 Rocko was checking out trick-or-treat times. 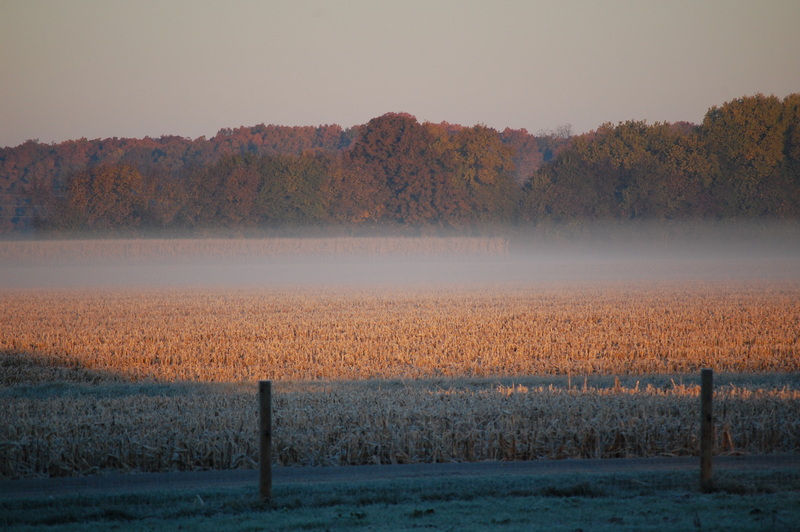 This entry was posted in Country Living and tagged Autumn, Boer goats, cats, chores, country living, farm photos, Fog. Bookmark the permalink. Love all those pretty kitties waiting their turn. 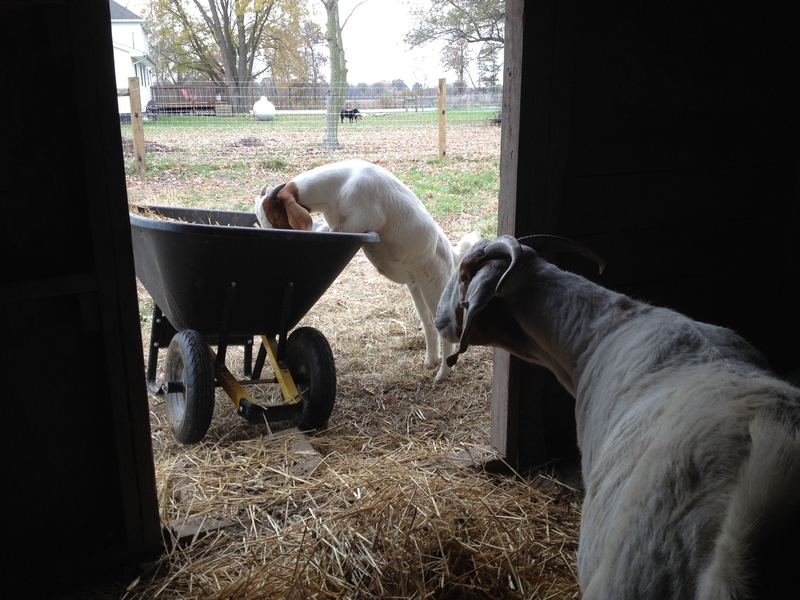 The goat “helping” with the wheelbarrow is adorable. It’s a wonder you get anything done with all that cuteness.